I stopped this morning to get my cappuccino and croissant at Verve and opened up my laptop to read CoinDesk, one of my favorite blogs on the crypto industry. As I was sipping my cappuccino, I came across an article, “So Long ICOs, Hello Airdrops: The Free Token Giveaway Craze Is Here,” written by Brady Dale. 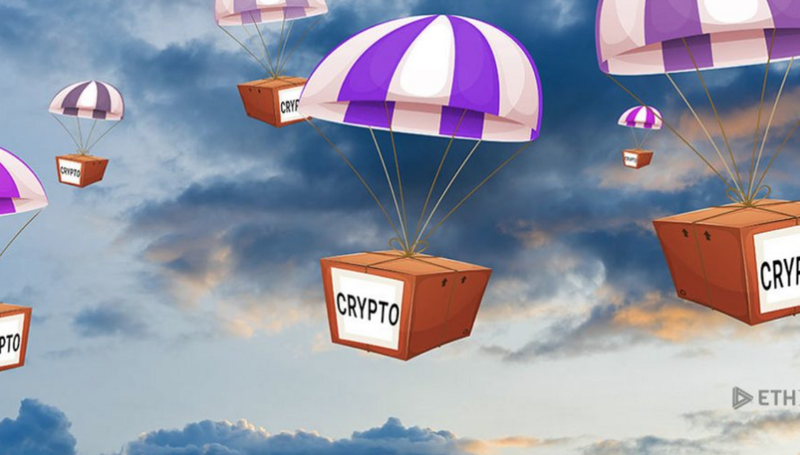 Normally, I scan these blog posts and continue to sip my coffee, but this time I paused, intensely reading how Dale praised the practice of airdrops and how ordinary people can get free tokens just for signing up. How sweet. Except an airdrop transaction violates securities rules because the company is not offering free tokens. In most cases, they are asking for users to perform an action, which is a “consideration,” or payment in kind. I wrote an article about this a few days ago called “Are Airdrops Security Transactions?,” which details how Airdrops are not compliant with securities laws. The next question is: should the SEC step in? ICOs are raising capital using Reg D 506(a), (b) or (c) with what are titled “Private Sales.” These sales are for accredited investors only and are in full compliance with the rules as long as they perform the necessary steps to onboard investors and follow the Bank Secrecy Act, USA Patriot Act and the Securities Act of 1933. However, it is alarming to read an article from a professional journalist saying ICOs need to register “under cumbersome laws” or that airdrops have to deal with an uncertain regulatory environment. These casual tidbits are the same thing we hear from lots of CEOs complaining about the SEC and the government. We need the press to be informed or CEOs will continue to play a Whac-A-Mole game with securities laws, just as they are doing now with airdrops. Dale cites Earn.com, a company that is now packaging airdrops for businesses by allowing them to pay a fee to drop the tokens to their users. It is amazing to see a well regarded company like Earn.com, headed by CEO Balaji Srinivasan and a board partner at Andreessen Horowitz, blatantly violate securities rules by aiding and abetting companies delivering not-so-free tokens to their users. This is again the classic Silicon Valley “do no harm” attitude at its best. When are the leaders of blockchain companies going to realize there is no escaping the rules established by the SEC? They are publicly touting their sale of securities to investors without any regard to the laws, and then when they receive a subpoena, these companies retreat into a quiet corner complaining about unclear rules and government overreach. I’ve got news for these companies: moving to Puerto Rico is not going to solve anything. You are going to face justice just as others have before you. Yet there is good news after all. Companies can use Regulation Crowdfunding and Regulation A+ exemptions to register and perform a compliant airdrop to users who need to be properly onboarded by funding portals. The cost is small, and the benefits to peace of mind are enormous. My hope is that the press are going to be responsible citizens by at least questioning the legality of what ICOs and airdrops are doing and presenting the other side of the coin, which is the law. Most attorneys are happy to take phone calls to help journalists maintain the right level of professionalism. If you liked what you read, join us for the StartEngine ICO 2.0 Spring Summit, where industry leaders will be discussing issues like these. CoinDesk’s Airdrop Article Is Misleading was originally published in Hacker Noon on Medium, where people are continuing the conversation by highlighting and responding to this story.